Jurors on Monday found a Los Angeles Police Department officer not liable for the shooting death of 14-year-old Jesse Romero in Boyle Heights in 2016, a verdict that drew criticism from protesters. Romero’s family filed a wrongful death lawsuit against LAPD and the city of Los Angeles last year after Los Angeles prosecutors declined to pursue criminal charges against officer Eden Medina, who has claimed he feared for his life when he shot Romero during a police chase two years ago. A Los Angeles Police Commission investigation found that Medina acted within protocol, and he continues to be employed by the department. 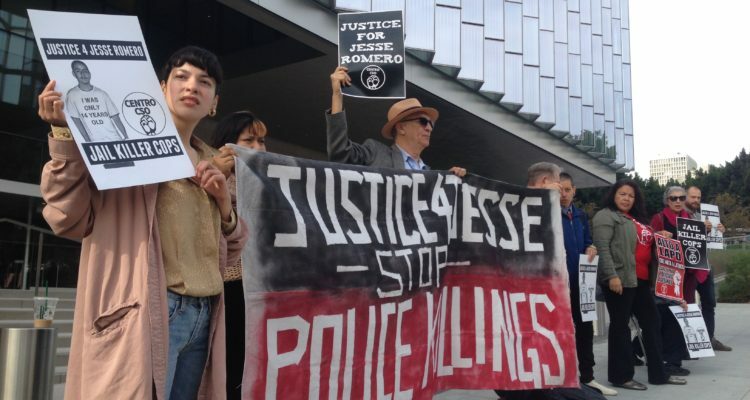 Protesters led by social justice organization Centro CSO stood outside the U.S. Federal Courthouse throughout the week-long trial and during the jury deliberations, demanding that Medina be held responsible for the killing of Romero, who they said was unarmed at the time that he was shot. 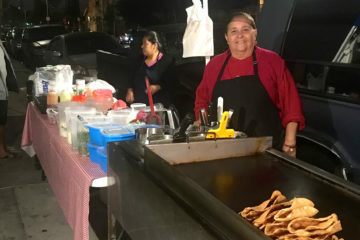 Marisol Márquez, an organizer for Centro CSO, said her organization will continue supporting the Romero family as their lawyer Humberto Guízar plans to appeal the case. “We are appalled at the jury but we know this system isn’t meant to work for the people it oppresses,” Márquez said. During the trial, Guízar argued that Medina’s decision to use deadly force against Romero was unwarranted. Medina and another officer pursued Romero after responding to a vandalism call, and Medina stated that he heard gunshots and thought Romero was going to ambush him as he rounded a corner. The officers also said they thought Romero had a gun because he reached for his waistband as he looked in their direction. 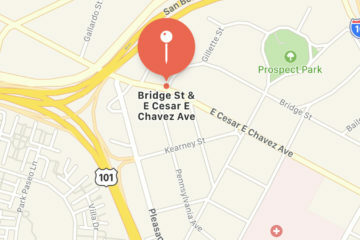 Court records show that while Romero did have a gun, he threw it over a fence as went around the corner of Breed Street and César Chávez Avenue on Aug. 9, 2016, and it went off upon impact with the ground. No gunshot residue was found on his person, and a witness said under oath that she saw him put his hands up as the officers approached. Though California law required the officers to release their body camera footage, the video did not capture the actual moment of the shooting. Officers in LAPD’s Hollenbeck Division, which includes Boyle Heights, shot six people in 2016, including Romero. 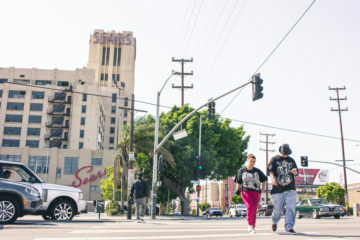 Medina shot another man in Boyle Heights, Omar González, 12 days before killing Romero, though Romero’s attorney was not allowed to present evidence from the González case during the Romero trial.